Glitter Gnome: My Big Decision: Update! OH SWEET LORD I LOVE BREAD. You may remember my post just before Christmas, pledging to all you internet lovelies that I would lose weight in order to be happier, healthier and more confident. It's going okay. It's going fine. It's happening. I have given up bread, become more mindful of what I am eating, and accepted the fact that I am going to have some days where I fail. Some days I get home from work, stressed about various things and eat toast. Sometimes I delve into the cupboard and pull out Waitrose Essential Choc Chip Digestives and happily tuck in. And sometimes I refuse the second helping and the biscuits at work and feel pleased with myself. However, yesterday I went shopping, and in Topshop I caught my reflection in one of those massive mirrors they have. And I felt unhappy and horrible, which took me by surprise because when I got dressed that morning and chose my black leather (kind of muted leather-look matte) jeans, green topshop tee and statement necklace I felt good. I felt like I looked nice. But I looked hideous. In my head I saw a huge girl who shouldn't even be in Topshop. I didn't buy any clothes yesterday apart from a jumper which I bought a size too big as I felt big (It's a nice jumper though), and I didn't feel confident to pick out items that thrown together would create a nice outfit. When I started this post, I meant for it to be a fun update, something light. But the truth is making lifestyle choices is difficult and you will get these down days. On the plus side, my jeans yesterday were falling down A LOT, and I feel fitter. When I train for dance it's easier and a couple of people have commented that I look as though I have lost weight. But I don't feel like I have. I really need to up my exercise, and I have been totally inspired by Sprinkle Of Glitter's hashtag on insta and her blog GlitterGetsFitter. She takes brisk walks everyday, which I think would suit me more than running, as dancing really gets you used to short, frequent bursts of intense activity rather than drawn out steady cardio that requires constant endurance. Have you tried to change your lifestyle to get healthier? What did you do to make it easier? I'm sorry about the depressing posts, I think it's the rain and the lack of socialising recently, but I definitely want my blog to be totally honest. 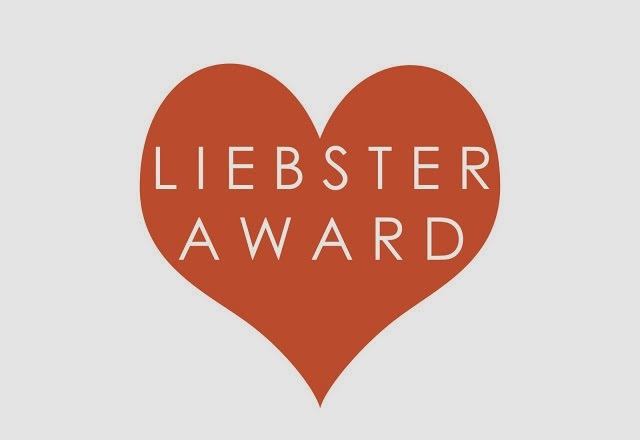 Nominated you for a Liebster Award! Deets on my blog!